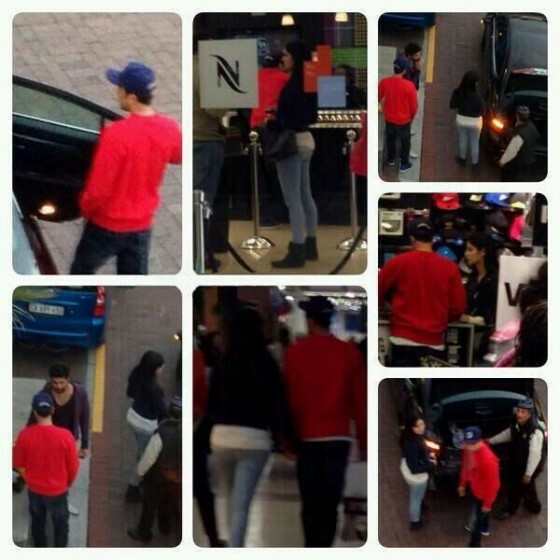 Ranbir Kapoor and Katrina Kaif have been in news for controversial bits mostly but this time the pictures are more informative than ones sparking off controversy. The pictures of Ranbir and Katrina shooting for Anurag Basu’s Jagga Jasoos went viral on microblogging site Twitter yesterday. The duo were clicked while shooting in Cape Town, South Africa where the film’s first schedule is being filmed. Produced by Anurag Basu and Ranbir Kapoor’s production house Picture Shuru Productions, the film expected to release later this year.